I thought Burnett was the team’s most valuable defensive player in 2016, and he’ll probably be among the most valuable again this season. 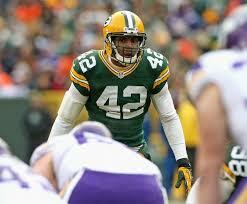 That said, he’ll also turn 29 years old in January, and the Packers are potentially very deep at the safety position. Pro Bowler Ha Ha Clinton-Dix is a rising star, and the coaches really like the potential of Kentrell Brice, Marwin Evans, and rookie Josh Jones. The only way I see Burnett wearing a Packers uniform in 2018 – and it’s unlikely – is if he’s willing to sign a very team-friendly deal in the next few months. If he’s unsigned going into the offseason, it’s difficult to imagine a scenario in which he returns. 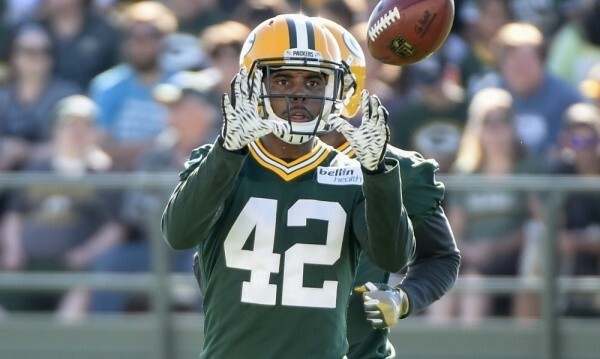 Some team will likely offer a lot more money than general manager Ted Thompson is willing to pay for a player with a lot of wear on the tires – even a good one like Burnett. I don’t see much risk in releasing Hill next Saturday when all rosters must be down to 53 players. He wasn’t drafted, he’s competed against future Arena Leaguers in the preseason, and he turned 27 a few days ago. I like Hill, but every year around this time Packers fans worry about losing a young player on waivers, and every year 90% wind up going unclaimed. Hill could be the poster child for the practice squad. Nobody is going to compare this group to the legendary one from 1996 (Reggie White, Gilbert Brown, Santana Dotson and Sean Jones) or even the one from 2010 (Cullen Jenkins, Ryan Pickett, B.J. Raji, etc. ), but Thompson has put together a pretty good unit. Can it be better than pretty good? That depends on the development of Clark and Lowry. My biggest concern is the lack of pass rushers. I thought Adams had a chance to help in that area, but his foot injury will make it a challenge for him to contribute as a rookie. The more I watch the Packers this summer, the more convinced I become that coach Mike McCarthy will use the running game simply to give his receivers a chance to catch their breath. 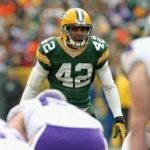 With Jordy Nelson, Davante Adams, Randall Cobb, Martellus Bennett, etc., he’ll be doing defenses a huge favor every time he asks quarterback Aaron Rodgers to hand the ball off. As for week 1 – assuming it’s a close game – let’s say 11 carries for Ty Montgomery and 10 more split among rookie Jamaal Williams and fullback Aaron Ripkowski. Because Spriggs has been SO bad this summer, I’m actually not overly concerned about his long-term future. I know this sounds strange, but let me explain. He’s simply too physically talented to look SO inept against journeymen defensive linemen. This suggests to me that his biggest issues are from the neck up, and that can be fixed. That said, I sure wouldn’t mind seeing him put together a better effort tonight in Denver.